Want to reduce your impact on the earth? Start small. Try a straw. A reusable straw, that is. Swap those endless disposable plastic drinking straws for reusable glass straws or stainless steel straws and you'll help reduce waste and damage to our environment and wildlife. Did you know it is estimated one major fast food chain alone uses 60 million straws a day? Data from plastic straw distributors suggest close to 500 million plastic straws are used daily in the U.S. 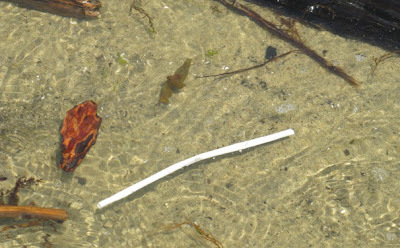 It's no wonder disposable plastic straws are one of the Top 10 polluted items found on beaches worldwide. This is bad news all around, but particularly for wildlife. Seabirds and other marine life often mistake plastic straws for worms and can end up choking on them. The first known straws were made by the Sumerians and used for drinking beer, probably to avoid the solid fermented bits that had sunk to the bottom. The oldest straw in existence was found in a Sumerian tomb and dates back to 3,000 B.C. In the 1800's the rye grass straw was used because it was cheap and soft. 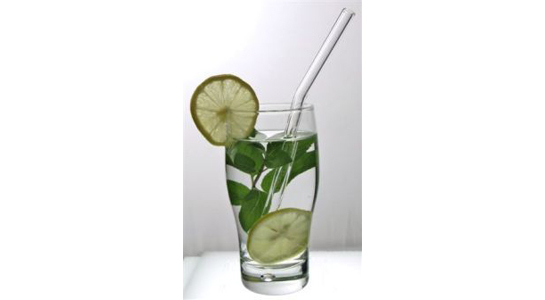 In 1888 the modern drinking straw was patented in the U.S. by Marvin C. Stone and made of paper. While drinking a mint julep, he found the taste of the rye straw was mixing with his drink and decided to wrap paper around a pencil to create a tube, and used that instead. Paper straws were replaced with plastic in the 1960's when plastic was found to be the cheapest and most durable material. Plastic straws do not decompose. Over the years (and years) they just break down into smaller and smaller bits of plastic that end up floating in our oceans (Pacific Garbage Patch) and are eaten by fish that we, in turn, eat. One estimate for plastic straw decomposition is 20,000 years. Every straw you and everyone you know has ever used is still out there. While the majority of straws are now made from recyclable polypropylene (#5) plastic, most people consider them disposable and toss them in the garbage after one use. Polypropylene is considered low on the the toxic chemical front, yet running plastic straws through a dishwasher's hot water to reuse them still has the potential to cause chemical make up changes and release unwanted toxins. Plastic straws are an energy intensive, petroleum-based product dependent on this limited resource. Better drinking straws made out of safer, more reusable materials like toxin-free glass and stainless steel, even bamboo are available. They may cost more than plastic, but it's a healthier choice for the planet and you too. What about the millions of plastic straws being used every day? All we can hope is that as many as possible are being collected and upcycled into woven mats or bags as is done in Uganda or perhaps they're being used to create beautiful works of art like these creative and cool drinking straw creations. Anything other than ending up in our oceans, harming wildlife and our food chain. 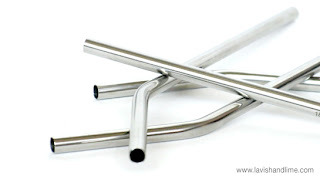 Stainless steel straws are a great durable reusable alternative to plastic. 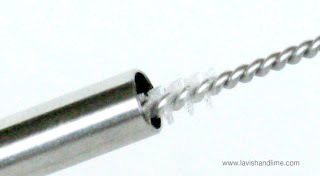 Straw cleaning brushes are available to help keep your reusable straws clean. Glass drinking straws are taste-free and transparent, easy to keep clean. I own a set of stainless steel straws and they are FABULOUS! I have three kids who love to use straws, so being able to let them use one whenever they like, with no guilty eco-conscience, is great!